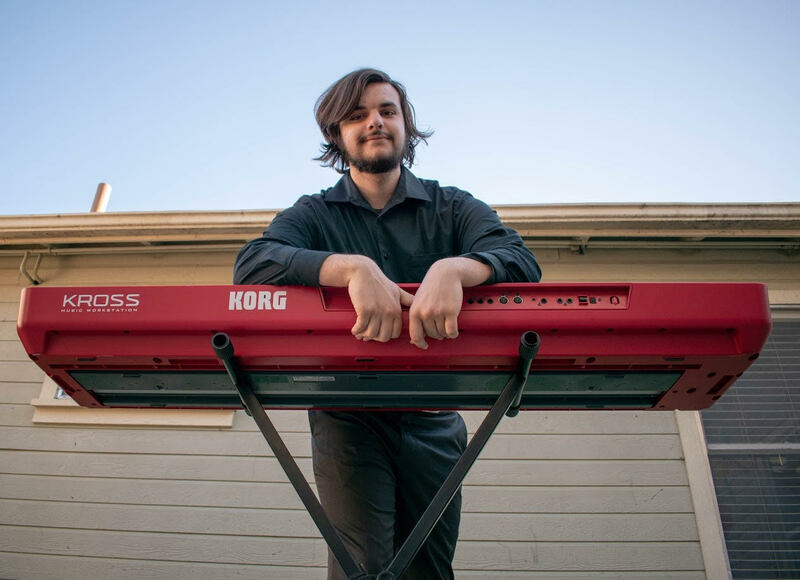 College of Creative Studies Music Composition student Jarod Fedele will present a junior recital on Saturday, April 27, 2019, at 7 pm in Lotte Lehmann Concert Hall in the UCSB Music Building. Fedele's particular interest pertains to the field of rock music and how to advance the genre. He will perform his entire debut progressive rock album, entitled "A Collection of Color." Originally recorded through a single synthesizer, this album has been transformed with a complete live band, including many keyboardists, drums, bass, guitar, and many guest musicians throughout the show including saxophone, flute, a brass section, and so on. The music ranges in style, complexity, and length—featuring a 40-minute song to end the concert.